The Cups and Balls is a classic in magic, and one that most, if not all, magicians have at some stage had a go at. Here at Vanishing Inc we love the classics, which is why we're very pleased to be able to offer you the required tools for this classic staple of the magician's repertoire. 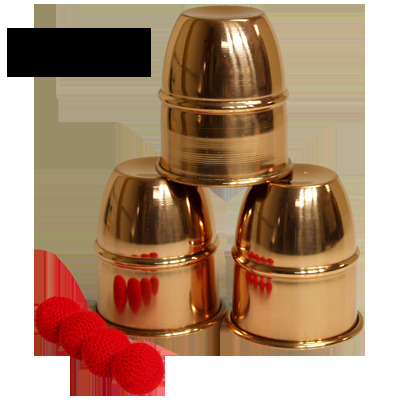 The perfect set of cups for the effect, this copper set has been made to the standard size and shape accepted across the world. Comes with three cups, four crochet balls and instructions with basic sleights and a routine to get you started. Good quality. I was concerned with the weight and thought they would be too light. Until I got them. The cups have a good weight for any routine.